A mistake I made before travelling to Japan was to watch Lost in Translation and fall prey to Sofia Coppola’s soft-focus illusion. After two weeks of shooting around the country by Shinkansen – the fleet of high-speed, bottle-nosed beauties – it became clear that the film was little more than a stereotypical, insular portrait of a magnetic, complex and multilayered nation. Almost everything in Japan is designed for efficiency: packets of chopsticks come with a toothpick; a sachet of mustard with ketchup squeezes out two separate lines on a hot dog. And trains are designed to take passengers from one destination to another as fast and as safely as possible. Nothing more. The average delay is 36 seconds and a series of earthquake countermeasures triggers automatic braking that can stop a train travelling at 300 kilometres per hour within 300 metres – while British trains are cancelled as a result of leaves on the track. But where the spirit and soul of other Asian countries heaves out of train doorways – from clanging tea vats and steaming dumplings, to raucous card games and rocking babies – Japan’s trains are rather more sterile. They slide up the platform with stealth, their bodies gleaming. On a blue square outside the doors, marked by a pair of painted white feet, a line of passengers makes a queue at a right angle. They slip in, take their seats, put in earphones, swipe their phones or shut their eyes. No one speaks. Sometimes they bring out ekiben – bento boxes containing regional specialities sold at stations. These beautiful wooden boxes are fitted with rice, breaded pork fillets or chicken teriyaki, black shreds of nori, or ginger, pickled pink. Ekiben look more like antique lacquered pieces for a mantelpiece, but are fast being replaced by the warm waft of KFC on board. 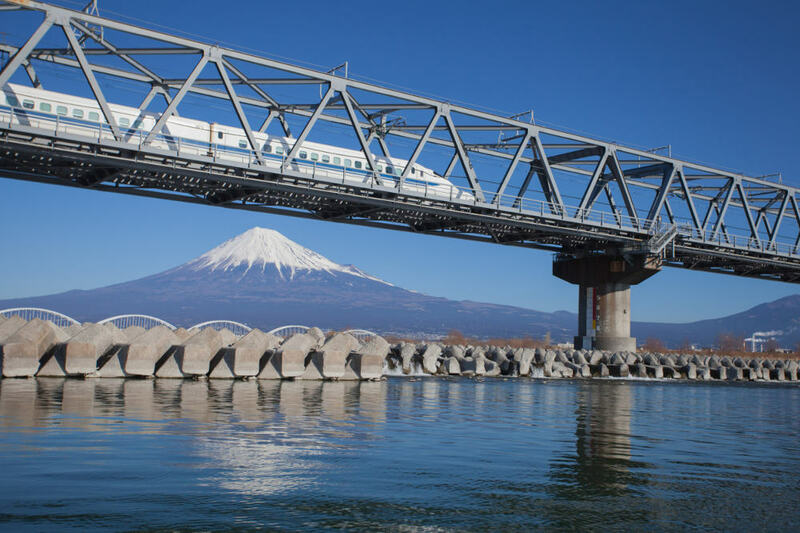 During my first ride on the Sakura Shinkansen from Osaka to Hiroshima, I stood a coin on its side and (just to check), stood on one leg in the aisle – neither of us fell over. Nothing but a low whistle of wind filled the cabin and when a fellow bullet train shot the other way, we tilted for no more than a few seconds. All heads were bowed, some dozing, some reading, when the conductor entered the carriage, removed his hat and bowed deeply before working his way up the aisle checking tickets. After he reached the top of the carriage, he turned and bowed again before leaving. No one looked up and I felt bad. But it didn’t matter, nothing was lost in translation. In that small motion it became clear that Japanese trains didn’t need music and mess and colour to be alive and filled with soul. This article was written by Monisha Rajesh from The Daily Telegraph and was legally licensed through the NewsCred publisher network.